What an incredible British Flowers Week it’s been! 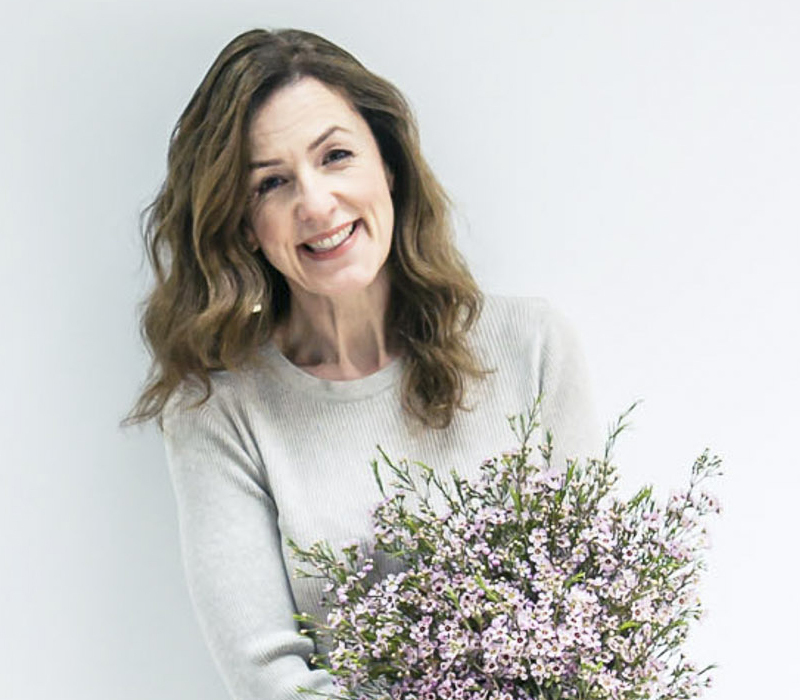 Today, I’m featuring the final florist from New Covent Garden Flower Market’s photoshoot to celebrate this annual event. And it’s the turn of Rob Van Helden from Rob Van Helden Floral Design. Your chosen flower for British Flowers Week is the Alstroemeria. Could you tell us why you selected it? 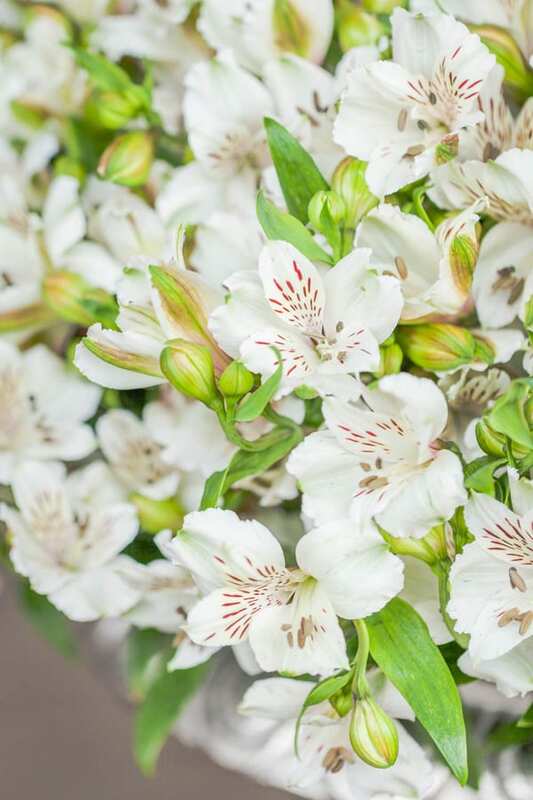 Alstroemeria is almost a forgotten flower and using it in the way we’ve done for British Flowers Week will give it a bit of a boost that it deserves. I’ve been using them for almost 30 years and in fact, it’s my 30th Anniversary of working in the UK this December. We use British Flowers in designs for weddings and events, and lots of our work involves parties. 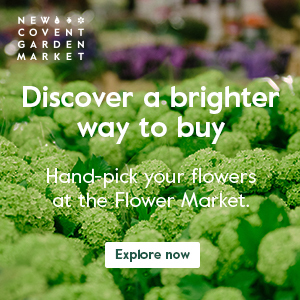 Where do you source your British Flowers from? From New Covent Garden Flower Market. I go there every day, sometimes up to three times a day! I love the vibe and the wonderful relationships with the traders. I buy from Zest Flowers, Porters Foliage and GB Foliage. I tried to show the beauty of alstroemeria. So I decided to only use this flower to create simple but beautiful arrangements with high impact and hope I’ve done the growers proud. 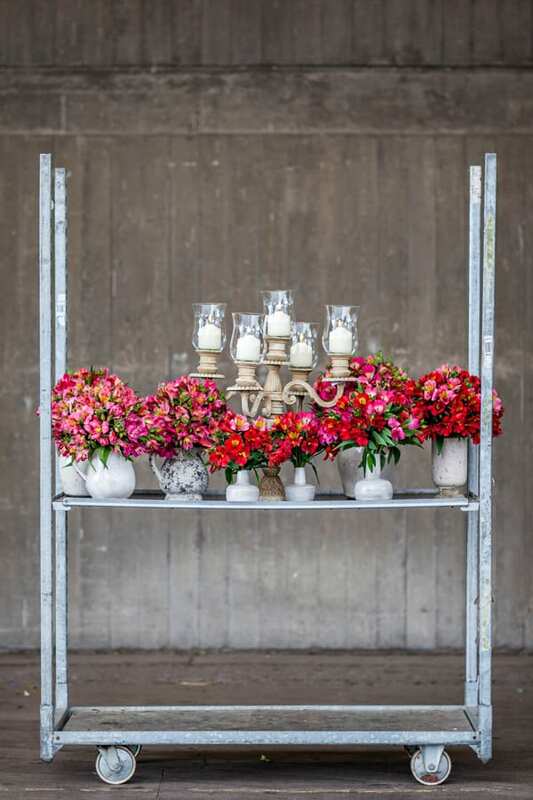 The three designs are a stone vase of red and pink alstroemeria, a massed umbrella arrangement of white alstroemeria in a silver urn and a collection of bunches of alstroemeria assembled in little ceramic vases. 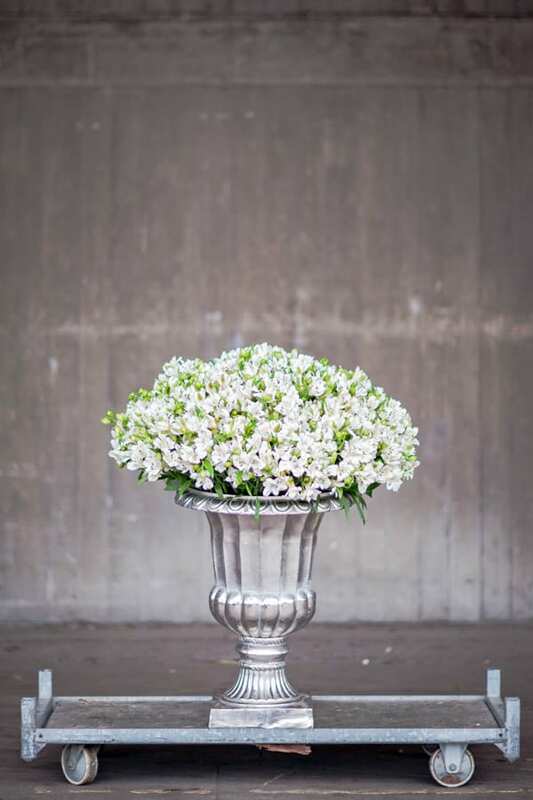 Do your customers specifically ask for British flowers? They tend to ask more for seasonal flowers. And at this time of year, I love using stocks, cornflowers, larkspur and garden roses. Do find there are any challenges in using British flowers? Sometimes, it can be a challenge to make some of the varieties last, like the more delicate flowers like cornflowers. But it’s all about conditioning them correctly. Nothing beats British flowers! In particular, I love English garden roses, jasmine and herbs…it’s their fragrance. I’m a great believer in using local produce. Whenever I’m working abroad in places like Los Angeles, Mexico and India, I always go to the local flower markets. 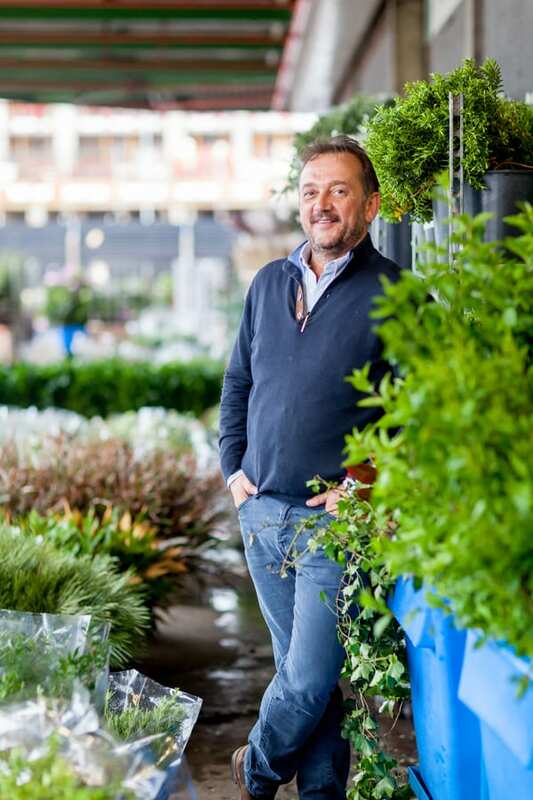 I’m proud to be part of the British Flower industry, with a little touch of Dutch! P.S. 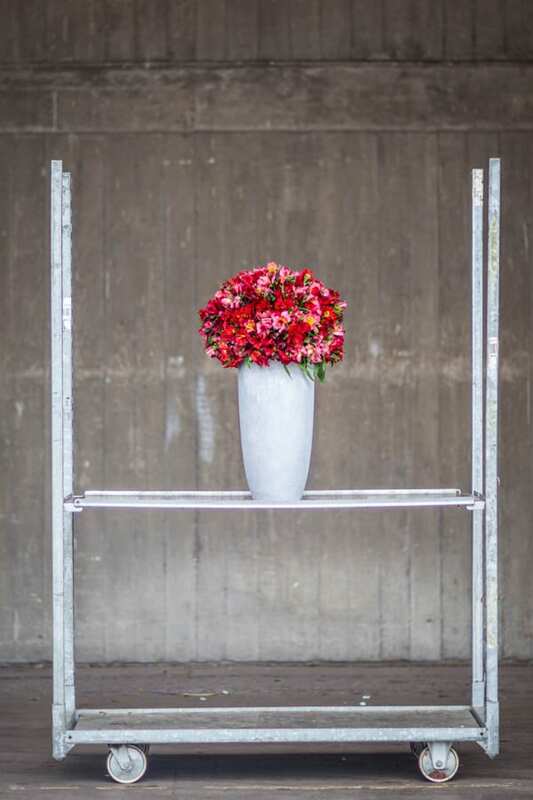 Just in case you missed them, here are links to Day One, Day Two, Day Three and Day Four of British Flowers Week. Chocolate Cosmos...a beautifully dainty flower which really does have a chocolate scent!